Arsenal and Manchester United are the two most successful clubs in the history of the FA Cup. 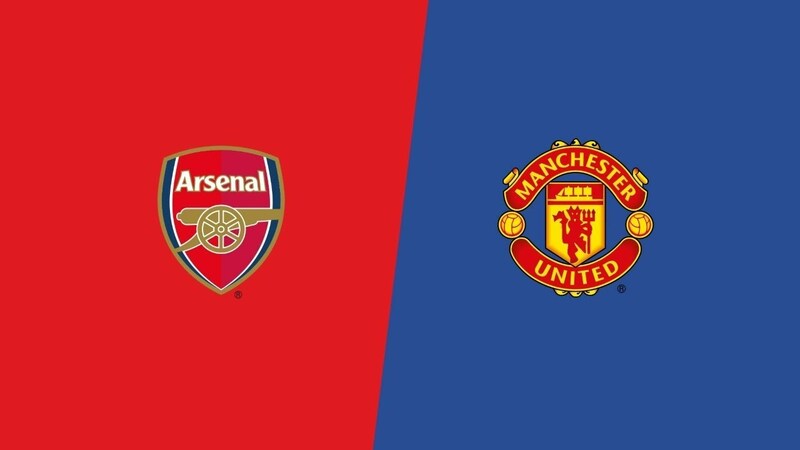 It’s Arsenal who narrowly have the better record with 13 FA Cup wins to Man Utd’s 12 but only one will have will have a chance of improving their record after their meeting on Friday night. This fixture is a classic of English football and the build up to the match on the BBC will doubtless include highlights of the many entertaining FA Cup meetings between them over the years. Ole Gunnar Solskjaer took part in some of those classic matches as a player but he is only focussing on the future. 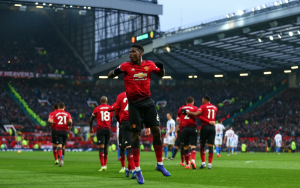 The Norwegian’s impressive start in temporary charge of Man Utd continued on the weekend with yet another win against Brighton. 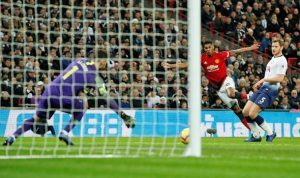 The team is playing with incredible freedom compared to the end of Jose Mourinho’s spell as Man Utd manager but they haven’t been perfect and were more than a little fortunate to beat Reading 2-0 in the third round. Solskjaer knows that his players will need to be much improved against Arsenal. Unai Emery was delighted with the way that his team bounced back from their loss to West Ham to beat Chelsea on Saturday evening. That will help team morale and improve the atmosphere at the Emirates which should be jumping by kickoff for what could be another classic installment of this fixture. 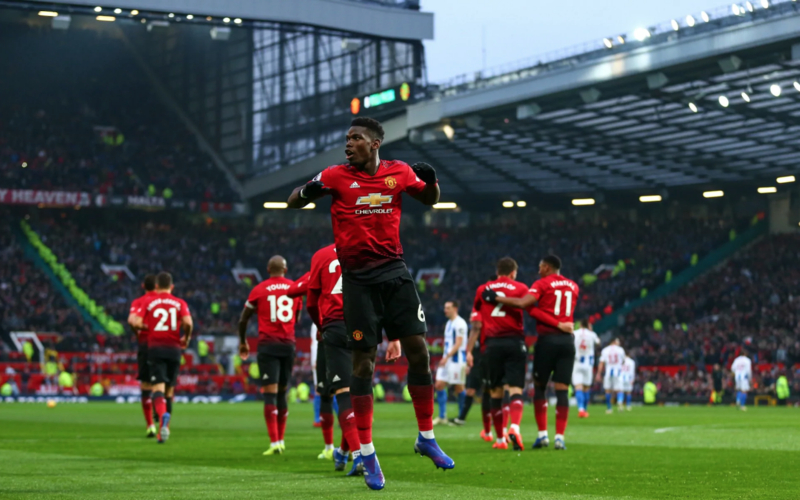 Paul Pogba celebrates scoring Man Utd’s opener against Brighton from the penalty spot. Arsenal’s home advantage makes them the narrow favourites on Friday night at 8/5 with Betfred. The positives about that price include the fact that Arsenal have lost just two games in all competitions at the Emirates this season and that they secured a 2-2 draw away to Man Utd at the start of December. We just can’t help but think that they are a little too short in the betting. It remains to be seen whether the Man Utd hierarchy believe that Solskjaer is the man for the long term but there can be no denial that he has very quickly won over both the players and fans and that they are a very different proposition to when Arsenal travelled to Old Trafford less than two months ago. Arsenal have had problems coping with fast, powerful forwards who are given the chance to attack in recent weeks. Liverpool tore into the Gunners’ defence in their 5-1 win and even Southampton were able to expose their problems in defence. This current Man Utd team are more than capable of scoring multiple goals at the Emirates which makes them look the value bet to win the match at 7/4 with Betway. The odds at the top of the Correct Score market show that the bookies are fully expectant of a close match. None of the top six selections highlighted above have either team winning by more than one goal which is a reading of the match that we agree with. If Man Utd are to win the match it won’t be by a big margin. Moreover, Arsenal’s fearsome attacking line up suggests that the away team will need to score more than once to book their place in the fifth round. To that end, any bet on the Correct Score market should reflect there being goals for both teams. The 9/1 that bet365 are quoting on Man Utd winning the match 2-1 is a solid option which will return nicely in the betting but if you’re expecting a real classic you can back the away team to win 3-2 at 22/1 with Coral. 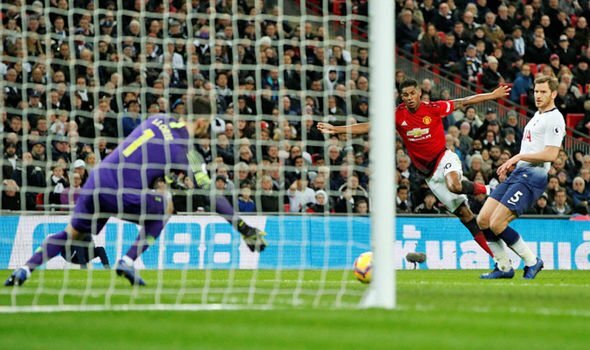 Marcus Rashford scoring Man Utd’s winner against Tottenham. Man Utd fans expected Ole Gunnar Solskjaer to change the emphasis of Man Utd when he replaced Jose Mourinho but few thought he would be quite so happy to make changes to personnel. One of the biggest calls he’s made is to place his trust in Marcus Rashford as a centre-forward and therefore relegation Romelu Lukaku to a place on the bench. Rashford has grabbed his opportunity with both hands. He may be utilised in a slightly different role against Arsenal (just as he was against Tottenham) but Rashford’s pace in behind the defence will be a threat right from the start. The England international relishes the big stage and can score the game’s first goal at 15/2 with Paddy Power.